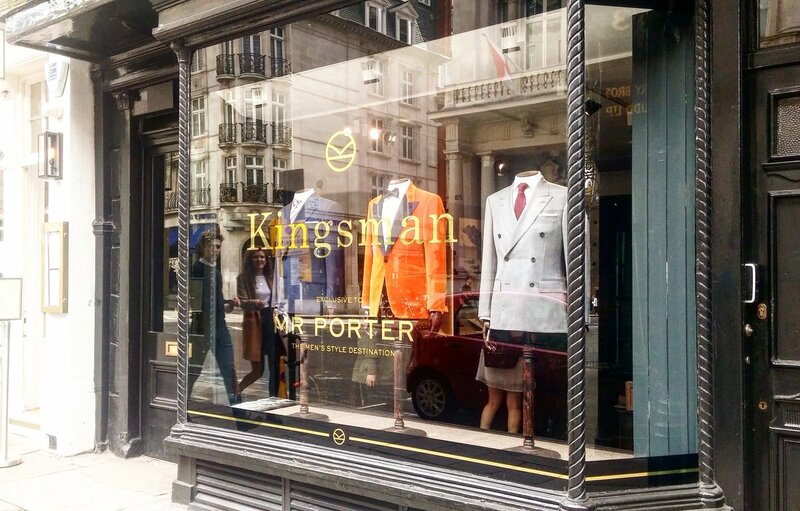 Kingsman, Mathew Vaughn's Secret Agent frilm franchise, has opened a pop-up shop with Mr Porter at 4 St James Street, so that fans can step into (& buy) the films' world of curated British luxury. The shop is open until Christmas 2017 and features classic British and international menswear and luxury brands, like Turnbull and Asser, TAG Heuer, Drake, Smythson, and many more. Don't expect anything at 'pocket money prices' - this is a luxury boutique. 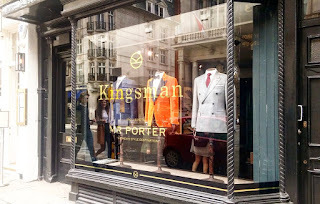 "In our opinion, the Kingsman: The Secret Service was one of the most stylish films in recent memory - well, we'd expect no less from a spy ring headquartered in a Savile Row tailoring shop. However, while the first was great, the soon-to-be-released second instalment, Kingsman: The Golden Circle, looks set to be even more sleek still. How can we tell? One of the most stylish online menswear retailers, mrporter.com, is involved - and, even better, has opened an proper bricks-and-motar shop so every man can have a piece of the sartorial action. Located on St James' Street next to historic wine merchant Berry Brothers & Rudd (which, we hear, makes an appearance in the film itself), the two-room shop is kitted out like a mini Kingsman outpost, complete with dark green panelling, futuristic interactive changing room mirrors and even the real stuffed Mr Pickles reclining on a shelf. There's also a special edition of the e-store's physical newspaper, the Mr Porter Post, that you can pick up for free only at this location."